Picture a time in the not-too-distant future when whole genome sequencing is routine. A time when, before babies even learn to talk, their parents will have the ability to learn what the future may have in store for their offspring: Is their little girl predisposed to getting breast cancer? Will their happy-go-lucky son one day develop Alzheimer's? "There is no doubt in my mind that, in addition to going in and having blood chemistry done, you're gonna have DNA sequencing done, too. It will be there at some point," says Nicholas Schork, a quantitative geneticist at the J. Craig Venter Institute in La Jolla, California, who has studied genomic medicine for more than three decades. "We can debate about the timeline, but it'll become routine." The hope is that genetic testing will make health care more effective by allowing doctors and patients to focus on areas that need attention — the patient's genetic "vulnerabilities." At the same time, patients may learn of areas where they won't need to be quite as vigilant. And treatments could, in turn, be perfectly tailored to a patient's specific needs. But as with any significant and broadly applicable medical advance, there are questions. For example, should patients learn that they carry markers for currently incurable genetic diseases, or that they are at high risk for developing a condition like Alzheimer's, which has no effective treatment? And just who owns all that genetic data? Who will have access to it? Arivale's Leroy Hood and Jennifer Lovejoy explain the company's genetic testing program in Spokane. Even with important questions left unanswered, health educators are moving forward to take advantage of the promises genetic testing offers. Washington State University's new Elson S. Floyd College of Medicine has announced it is partnering with Arivale, a Seattle-based company that conducts whole genome sequencing, to help complete a portrait of a person — a "portrait" that can be used to promote wellness over that individual's entire lifespan. Every member of the school's inaugural class will have the opportunity to undergo testing, which will also include blood tests and a lifestyle evaluation. Then, over the next year, Arivale's team of nurses and dietitians will provide individually tailored follow-up, based on each individual's risks and goals. It's a unique partnership, made possible in large part because the medical school is new, with its first class of students starting in 2017. Allowing the medical students to experience genetic testing firsthand is just part of the goal. "We need physicians that understand it well enough that they can make it better going forward," says John Tomkowiak, founding dean of WSU's College of Medicine. "That's where our students are going to be uniquely positioned." Genetic testing already provides important information about a person's health or their heritage. Hospitals screen newborn babies for certain genetic disorders, and in some cases, tests can detect disorders before birth. And diagnostic testing can confirm, or rule out, many disorders in adults. Testing doesn't have to be ordered by a physician. For $200, you can provide a saliva sample, mail it back to 23andMe.com and find out not only your ancestry, but also your risks for a number of diseases, including Alzheimer's and Parkinson's. Ancestry.com offers a glimpse into your heritage for $99. Color.com claims to reveal your risk for the most common hereditary cancers, and even offers "complimentary genetic counseling" for a $249 fee. But if genetic testing is to revolutionize the health care industry, as many have promised, there's still a ways to go. "The technology is at the beginning stages," says Thomas May, a faculty researcher for the HudsonAlpha Institute for Biotechnology. Companies like 23andMe offer genetic tests that may provide information about some genetic disorders from currently known genetic variants. But whole genome sequencing is different; it will reveal all your individual genetic variants. How valuable is that information? There are a relatively small number of conditions that researchers are confident result from a specific genetic variant, May says. For example, there is one variant that researchers have found is associated with an increased risk of developing breast or ovarian cancer. A genetic test that shows an increased risk for breast cancer is considered an "actionable" outcome, meaning there are things you can do to prevent the outcome, like beginning mammograms earlier. Though there are more than 50 actionable outcomes like that, it's still a relatively small number. Adding to the confusion is the fact that not everyone who develops breast cancer actually has the genetic variant — in fact, May says only about 10 percent do. So even if testing shows that you don't have the "breast cancer gene," that doesn't mean it's OK to stop getting mammograms. "Most variants and correlations are of that type: We can't say for certain if you're gonna get a disease," May says. Doctors are mixed about whether genetic testing is currently having a real impact on patients. 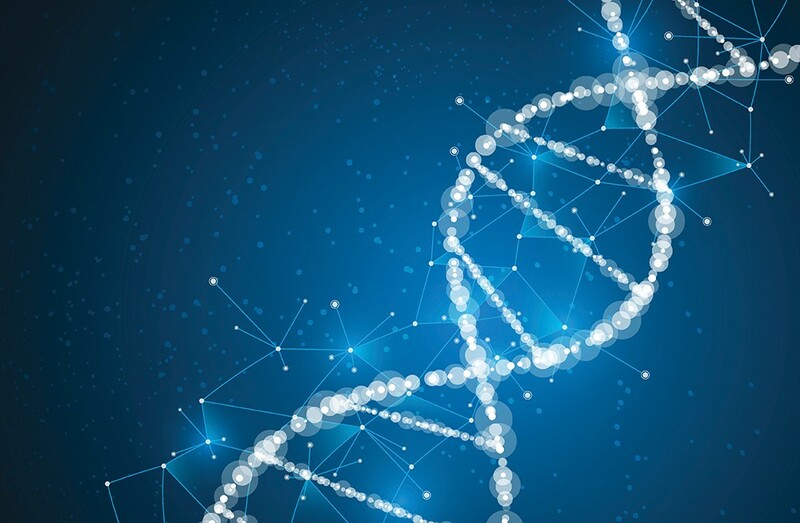 In a May survey conducted by the Medscape Physician Oncology Report on Genomics Testing, 71 percent of oncologists surveyed felt that genetic testing was either "very" or "extremely" important to the oncology field. At the same time, 61 percent said that, currently, fewer than a quarter of their patients would actually benefit from genetic testing. The number of diseases with "actionable" outcomes will inevitably grow, as more people are tested and more data becomes available. But this leaves deeper questions, says Schork, the quantitative geneticist. A company or health care provider would likely give patients information about diseases that can be prevented or cured. If someone is predisposed to obesity, for instance, then he or she can elect to receive targeted care to reduce that risk. But what about diseases that, right now, are incurable? Take Huntington's disease, a genetic disorder that breaks down nerve cells in the brain. It's rare, but it's a "hideous way to die," Schork says. A person can be screened at the age of 25 and be found to carry the Huntington's gene, but there's debate about whether or not that information should be shared with a client or not. The same goes for genetic variants related to Alzheimer's disease. "If there's nothing they can do about it, then there's a concern about whether or not that information should be imparted," Schork says. When the Food and Drug Administration ordered 23andMe to stop telling customers their odds of contracting diseases in 2013, Harvard Medical School genetics professor Robert Green and Laura Beskow, a professor at Duke University's Institute for Genome Sciences and Policy, argued against the FDA. They cited a number of studies showing that direct-to-consumer genetic testing does not cause a large percentage of customers despair. In an interview with the New York Times in April, Green said the potential for distress based on results of a genetic test for Alzheimer's was "much smaller than anticipated." Another question: Who really owns the DNA data that is being collected from willing users of genetic testing? Consider Myriad, a company that offers genetic testing both to help determine cancer risk and design better treatment plans for patients who already have cancer. The company has something that "others do not," Schork says: insight into which genetic variants predispose women to breast cancer. What Myriad is really selling, then, is not the genetic test itself, but access to insights it has gained through mining its database, insights that can be leveraged into whatever level of payment the company decides to charge. It's potentially critical information that could help save a life, and some argue that the data should be in the public domain — not held by a private company. "There have been huge debates about whether the community should challenge the monopoly that Myriad has," Schork says. "There are many groups out there that would like to counteract the monopoly Myriad has, by building public domain data sets." "Genetic testing is not a blueprint. It's really not," says Jennifer Lovejoy, chief translational science officer for Arivale. "Genes are really just one factor — the environment, diet, exercise, pollutants and even emotional state have a big impact on genes." That's why Arivale not only collects genetic information on each client, but also evaluates various blood tests and lifestyle factors to create a "dense data cloud" of information about a patient. "That is the grand vision: that everybody would have these dense, dynamic data clouds, and understand the choices that will be optimal to optimize wellness and avoid disease," says Lovejoy. Arivale touts the success stories among its nearly 2,000 clients. One client found out he had a gene associated with high sensitivity to saturated fat, giving him a better indication of an appropriate diet that helped him lose weight. Another client discovered that his genes may have an impact on his cholesterol. Another learned he was at risk of developing diabetes. Ideally, this type of preventive care will soon be covered by insurance, Lovejoy says. The thinking is that preventing disease will bring down the cost of health care overall, making insurers likely to cover more preventive care, "but we have to prove it," Lovejoy says. Researchers are conducting studies and trials to do just that, and if they can prove it, then genetic testing could soon be routine in health care. 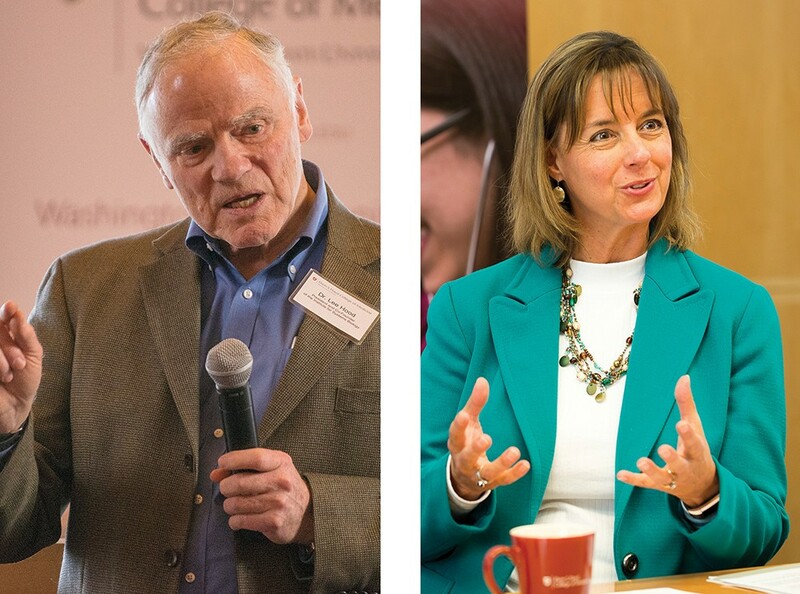 "If you think about what health care should mean, it should mean, one, the ability to deal with disease — and that's what everyone does today," Arivale co-founder Leroy Hood said at a press conference in April announcing the company's partnership with WSU. "But two, it should mean the ability to optimize wellness for each individual. That is, improving their health and/or letting them avoid disease." That's a concept Hood calls "scientific wellness, and he thinks it could lead to "a whole new health care industry in the future." Tomkowiak, of WSU's College of Medicine, agrees: "The concept of scientific wellness has the potential to disrupt the entire industry by shifting the cost curve, by keeping people healthier and reducing the cost of health care overall." Regardless of whether or not Arivale becomes an industry leader, Tomkowiak believes that the practice of medicine will be fundamentally altered in the near future. Welcome package: Clients get a welcome package with a Fitbit to track sleep, activity and heart rate. The package asks for information to help understand a client's bacteria in their gut, and asks for a sample of saliva to measure a person's stress level. Online test: Clients take a series of online assessments about their goals, health history, lifestyle, stress, personality and happiness. Call from coach: You'll talk to a coach who will get to know what you want to accomplish and give you a personalized action plan. Labs: You'll take blood tests so your coach can understand your current health. While you're there, they'll take your vital signs. A picture emerges: The various test create a picture of you, which an Arivale coach will use to provide a step-by-step plan to "optimize your wellness," according to the company. Follow-up: You're not done yet. You'll be contacted by your coach regularly to review your action plan, and Arivale will provide reports on how you're progressing. Every six months, you'll complete another set of clinical labs.